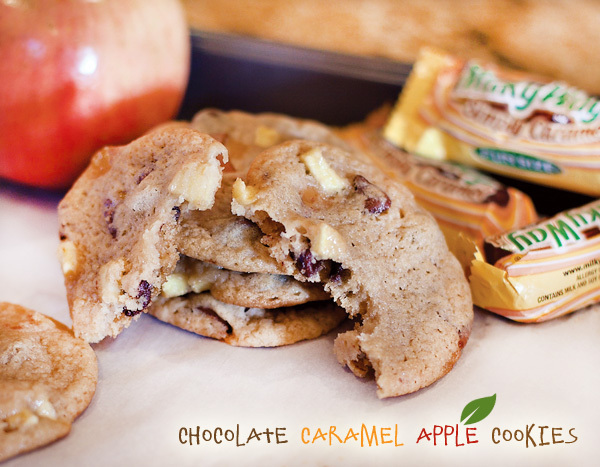 If you want the yumminess of a caramel apple but without the mess of melting and dripping, you might want to try this chocolate caramel apple cookie recipe. I am not a big fan of baked apples, so I will stick to the real deal, but I might still give this cookie recipe a shot, just minus the apple bits. You can't beat the chocolate and caramel combo. You can get the recipe for chocolate caramel apple cookies over at Hostess with the Mostess.